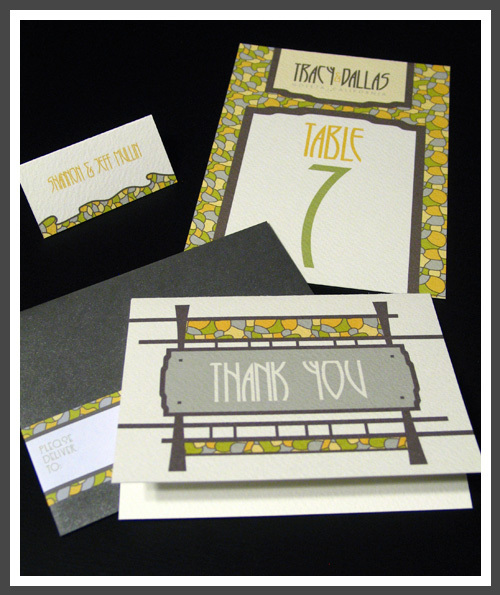 As promised, the freshly shipped Arts & Crafts Extras comprising of thank you cards, place cards and table numbers, which finalize the Wedding Invitations I shared with you on Monday. Taking inspiration again from the Gamble House architecture, I designed a structural placard which you might find at the house in the Arts & Crafts style. 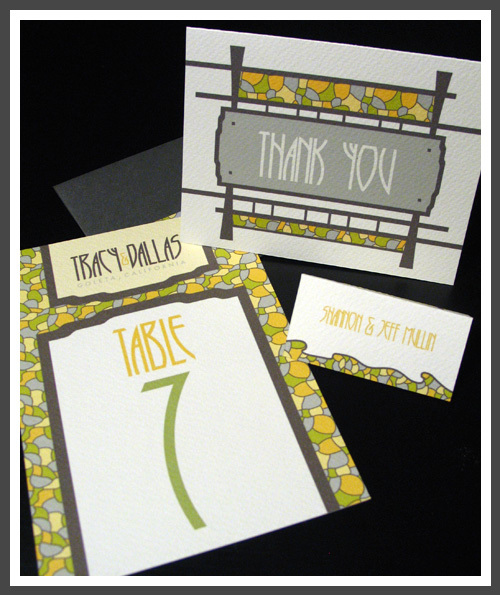 The table numbers were placed inside frames so they were single-sided, and the place cards were a folded tent with the table number on the back side (you can see in the left-top corner of the second image above). 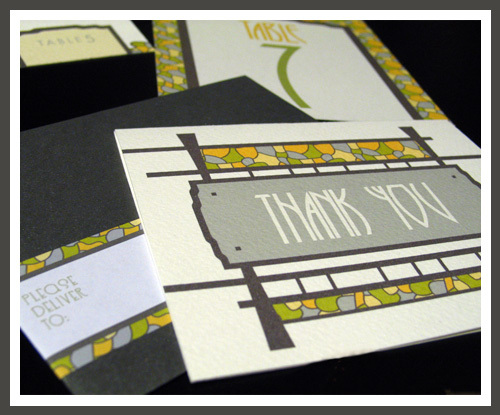 The back side of the thank you cards had the same logo as found on the Wedding Invitation. 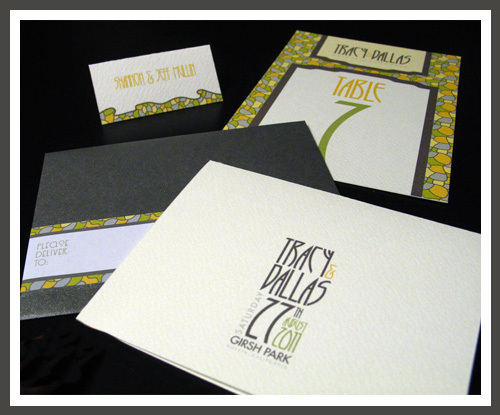 A metallic charcoal envelope with its accompanying address label finishes this Arts & Crafts Wedding Invitation Suite nicely.